All Rose Garden Estates homes currently listed for sale in Surprise as of 04/23/2019 are shown below. You can change the search criteria at any time by pressing the 'Change Search' button below. 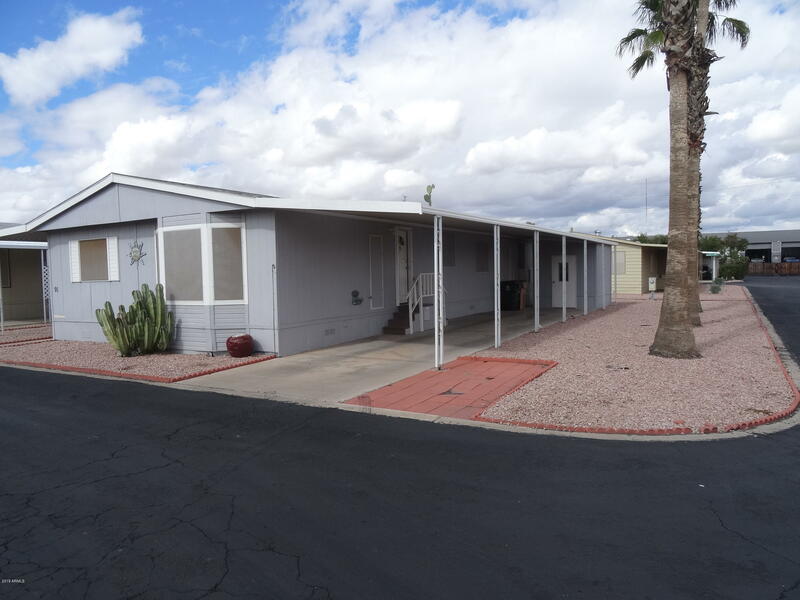 "Rare 3 bedroom 2 bath in established and exclusive, gated Rose Garden Estates community. No HOA fee but there is a $625 per month land lease fee. Upgraded kitchen with high-end stainless steel appliances, plenty of cabinet space, and storage. Home has been gently lived in and shows much newer than it's age. Open floor plan with living room off of kitchen area. Split bedrooms give extra privacy to the master suite, complete with his and her closets and sinks. Bedrooms 2-3 also good size and ha"